It is with much excitement that we are now releasing Taetia’s Song of Spring to the world! 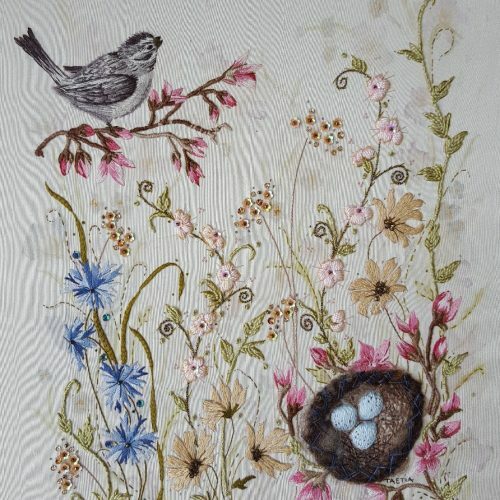 Exclusive to Create In Stitch, this pretty picture is inspired by early mornings, when the dew is still wet on the petals of new spring flowers, and the air is filled with the gentle song of tiny birds, the design is embellished with unusual sequins and beads, stitched on silk with beautiful silks and threads, in Taetia’s favourite feminine palette. 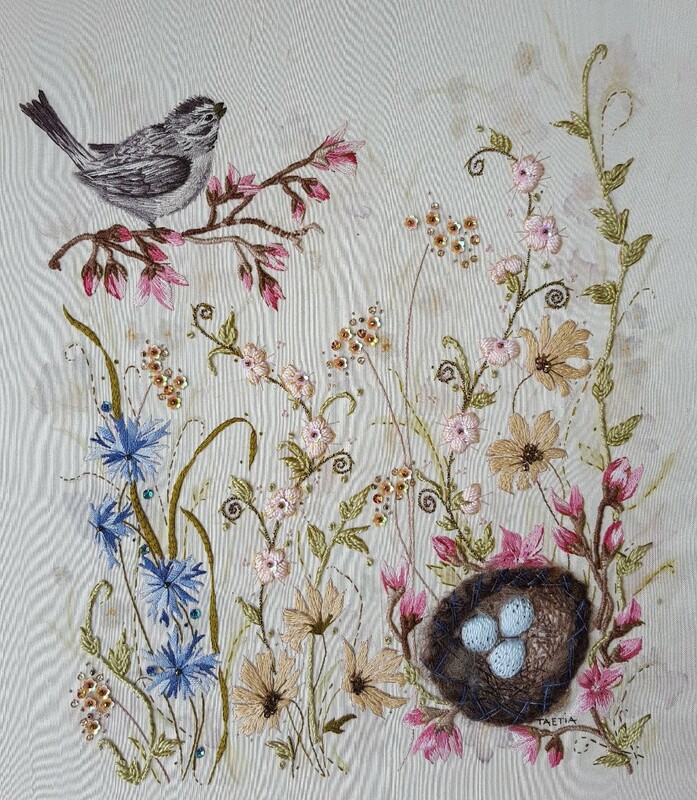 The pattern includes full colour photographs, the drawing, a list of materials, stitches used, and comprehensive instructions on how to make your own Song of Spring.